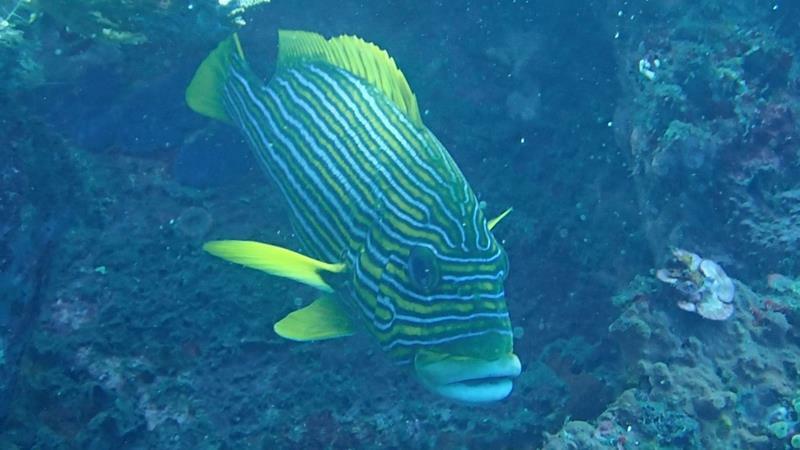 The Oriental Sweetlips fish (Plectorhinchus vittatus) also known as the Indian Ocean Oriental Sweetlips, Lined sweetlips, Grunts are found in tropical waters in the Indian Ocean and western Pacific Ocean including around Indonesia and the island of Bali. The Oriental Sweetlips grow to around between 30cm - 50cm and live in water to a depth of around 25 meters. The Juvenile Oriental Sweetlips are around 2 - 3 cms with a very different pattern to the adult juvenile sweetlips. 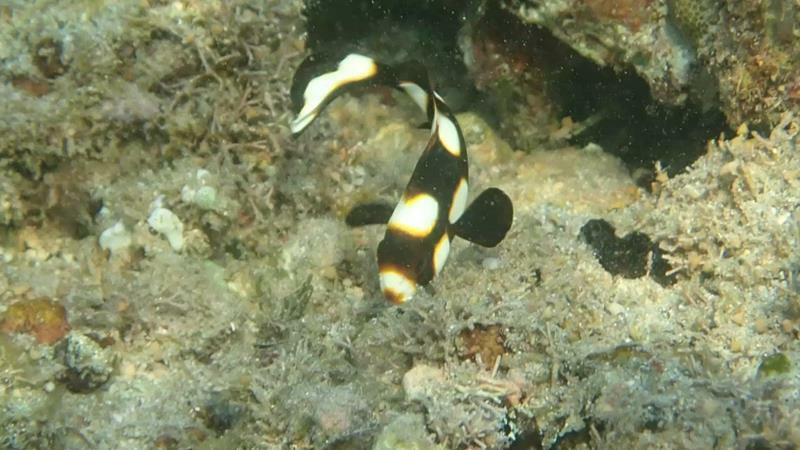 The mostly black with white spots with a ring of yellow around the white spots.